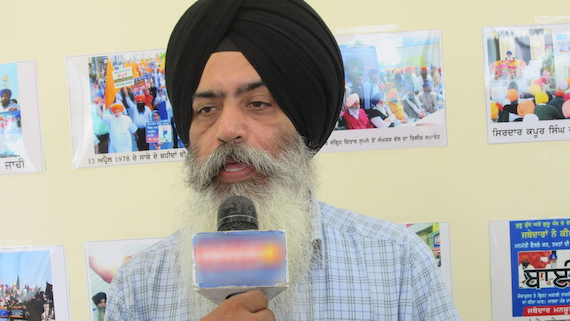 Chandigarh: The Dal Khalsa has stated that the peace between India and Pakistan is directly linked to resolution of Kashmir dispute and the Kartarpur corridor can play only a limited role in facilitating the dialogue. Spokesperson of the organization Kanwar Pal Singh in a statement said directly linking the opening of the corridor with Indo-Pak peace overtures is not only exaggeration of issue but sinister move to ensure that the project runs into rough weather. ⊕ RECOMMENDED for READING – ਕਰਤਾਰਪੁਰ ਸਾਹਿਬ ਦਾ ਲਾਂਘਾ: ਕੀ, ਕਦੋਂ, ਕਿਵੇਂ ਤੇ ਕਿਉਂ? He made it clear the setting-up of corridor by both Pakistan and India was a welcome step as it fulfils Sikh aspirations for direct access to Kartarpur Sahib that has been a long cherished dream of the Sikhs and that nothing more should be attributed to it. Moreover, he said the peace in the region will only be restored once rights of struggling peoples, ethnic minorities and nations will be recognized and respected by New Delhi. 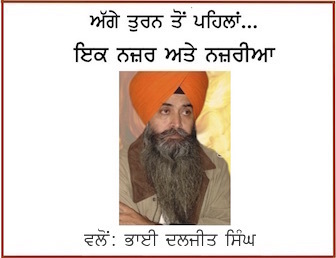 The Dal Khalsa was of the considered opinion that the peace between both the hostile and nuclear countries rests on finding political solution to Kashmir dispute as per the aspirations of Kashmiris. To drive his point home, he said Pak PM Imran Khan has categorically stated during groundbreaking ceremony that contentious issue between both the nuclear countries is Kashmir. Referring to the statement of Indian PM Narendra Modi comparing the opening of the border through the corridor to the bringing down of the Berlin Wall and upping the ante, he said it’s the Indian leadership and the media that tried to create this perception only to downplay or ridicule later on. 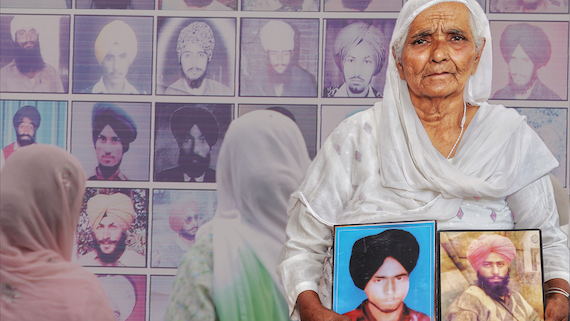 Stating that fear looms amidst hope and prayer, he quoted Punjab local bodies minister Navjot Singh Sidhu stating to the media that Kargil happened after visit by then prime minister Atal Bihari Vajpayee to Lahore by bus. “Sidhu appears apprehensive that after his visit something may happen to scuttle Kartarpur corridor project”, he said and echoed his fears. He said this corridor is the outcome of Sikh prayers and that Imran-Bajwa-Sidhu troika has just become the medium to deliver it. He said it’s the Sikh nation’s case and that we have to be alert in our utterances and actions so that none can hinder the Kartarpur corridor becoming a reality in 2019. He said the irresponsible media and petty politicians of all shades were playing the role of spoilsport and slammed those who had made Sidhu-Chawla meet an issue out of non-issue.